SPECIAL NOTICE: We are currently selling the the "new" revised FTC Buyers Guide window stickers for used cars.This one part pressure sensitive buyers guide sticker is self adhesive on all 4 sides and laser compatible. Power windows will not tear form off window. 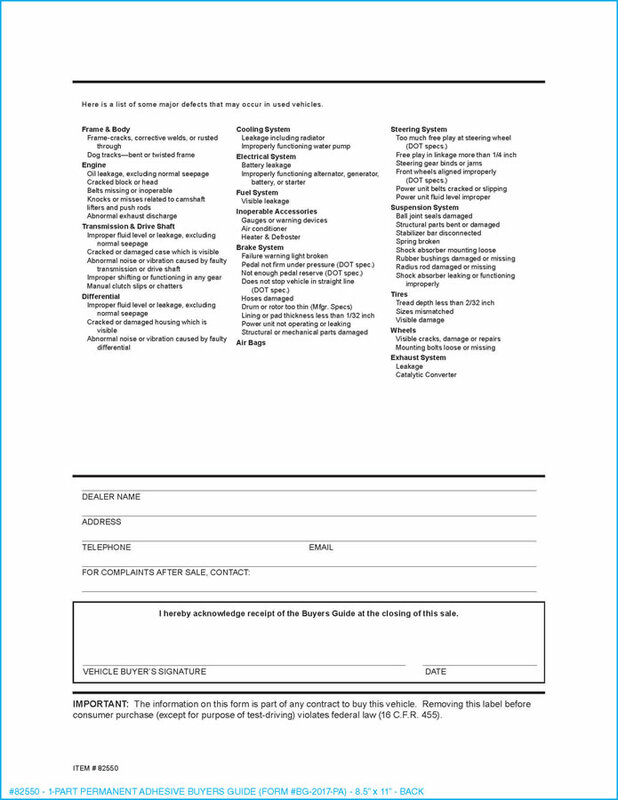 This form is blank on the front and easily printable on a laser printer or with a pen. 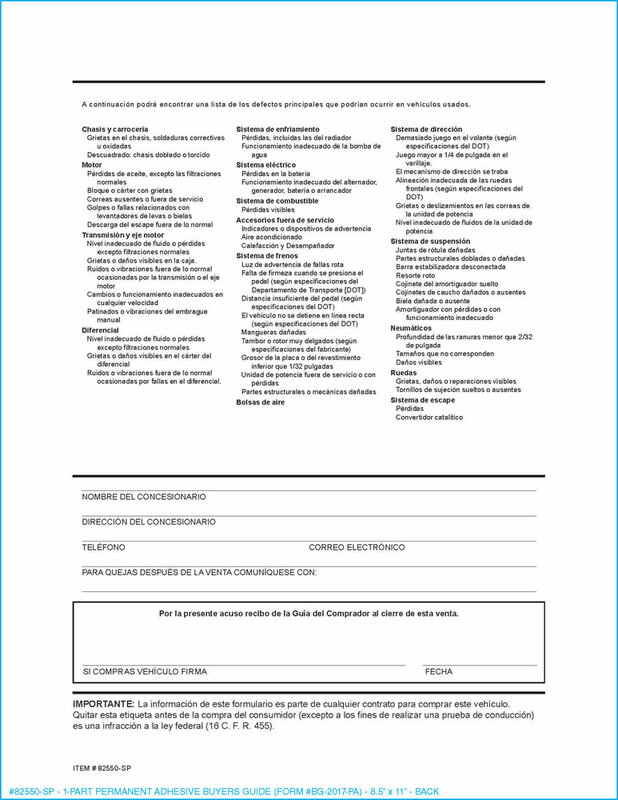 The back is pre-printed with the standard FTC buyers guide requirements for customer signature. 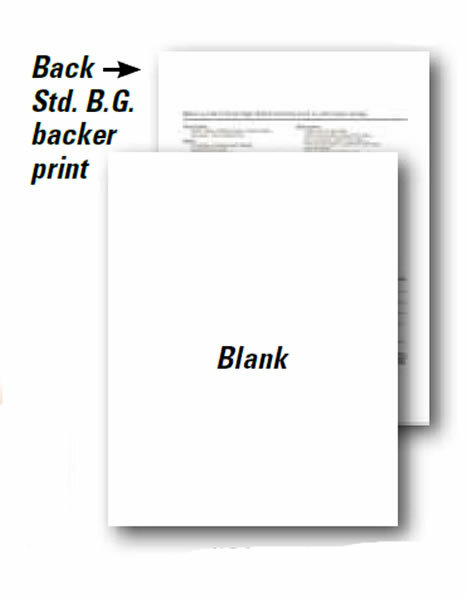 This pressure sensitive buyers guide sticker can be CUSTOM designed to match your specific business needs, or purchased now with the generic design pictured. To place a custom order, please call 866-348-6414. Ask about our FREE design service!